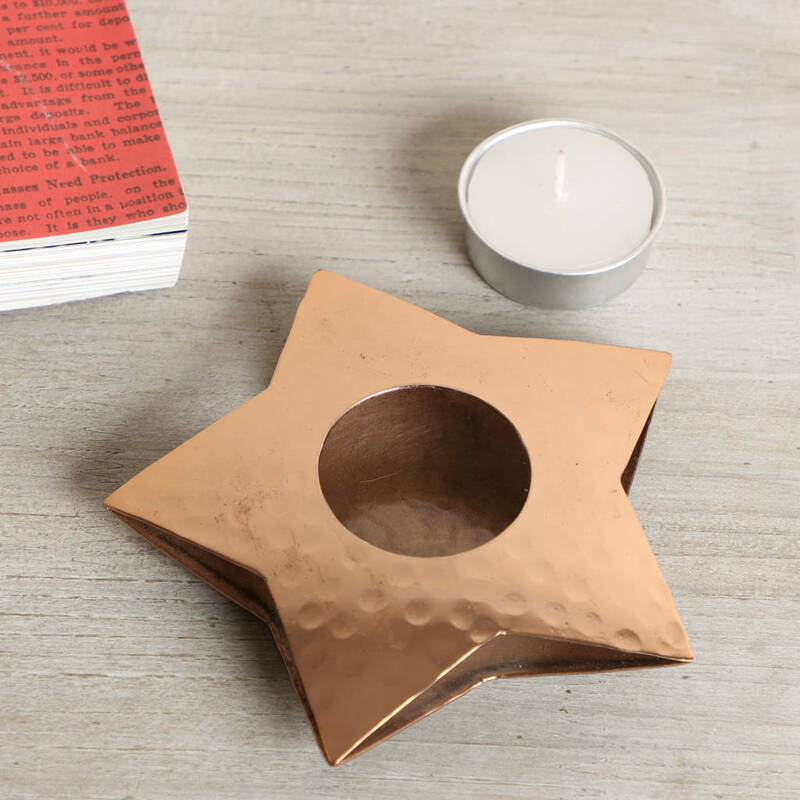 A set of 3 copper candle holders shaped like a star, complete with tea lights. The contemporary, textured design is perfectly on trend. 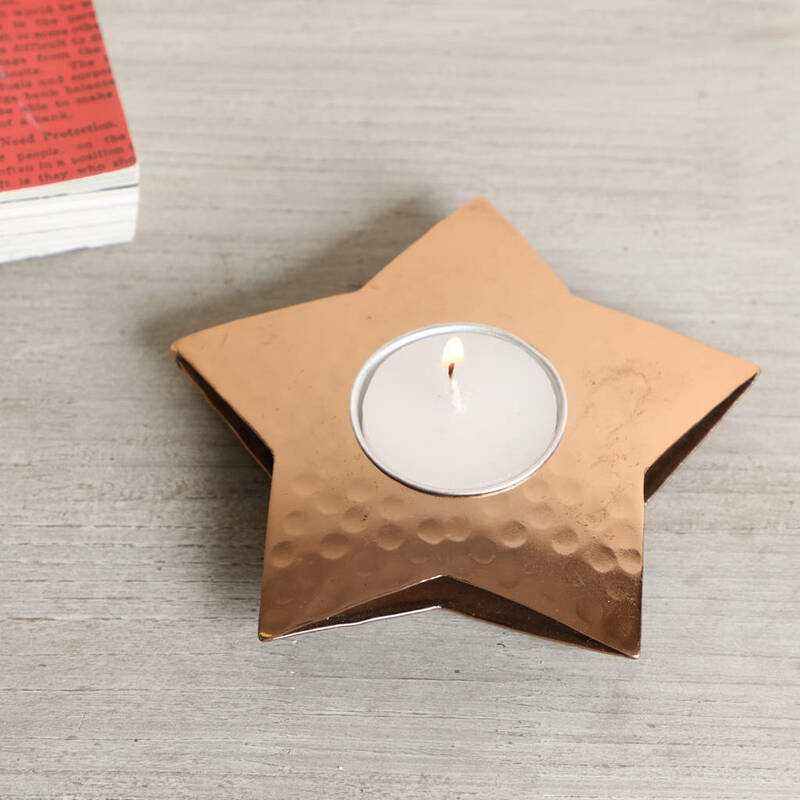 Made from lightweight, yet durable iron with a highly polished copper finish for a modern look. The delicate circle patttern and 3D shape brings an unusual effect that's subtle, but eye catching. 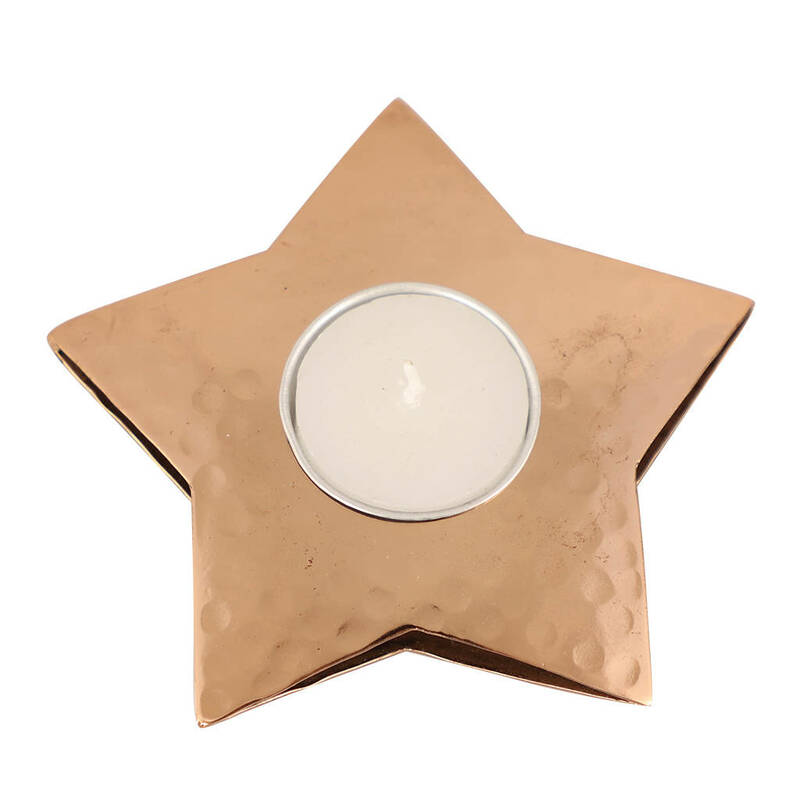 Ideal to display in your living room or bedroom, create a warm and cosy atmosphere anywhere in your home. This holder comes with an unsented tealight - simply pop in and light for instant relaxation. 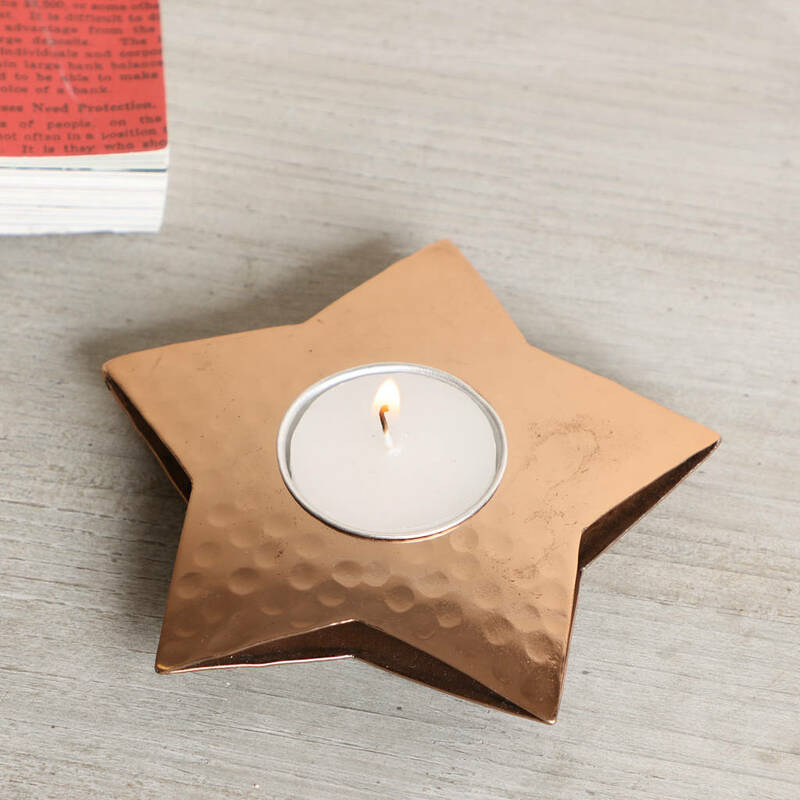 Featuring a flat base to keep it stable, this tealight holder is sure to match any existing accessories and decor, while bringing a little extra character to a room. 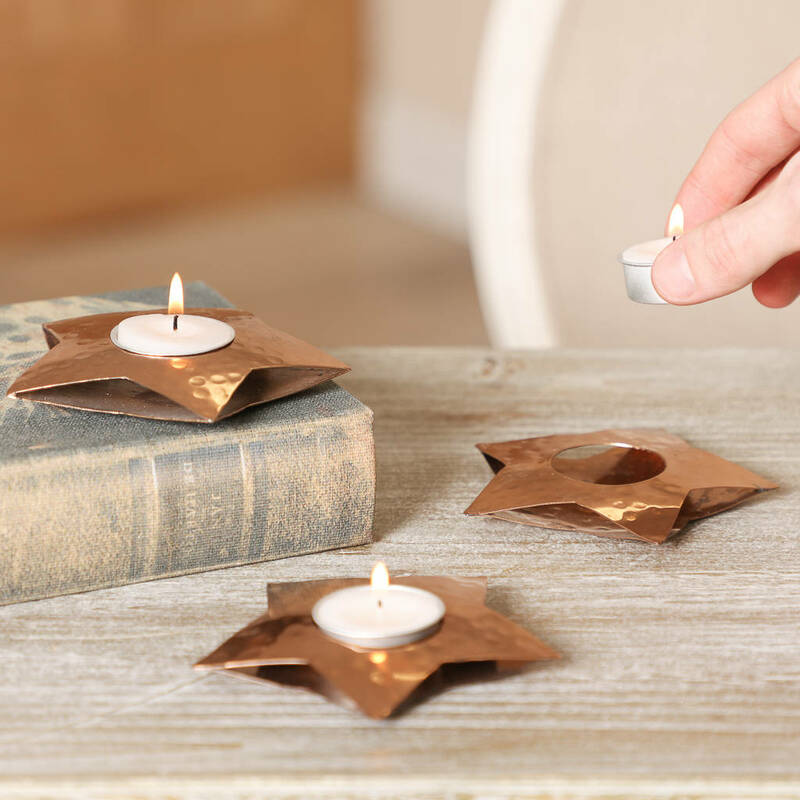 Place one on a table or shelf for a soft glow, or create a feature piece that's sure to impress guests when you group these metallic candle holders together. 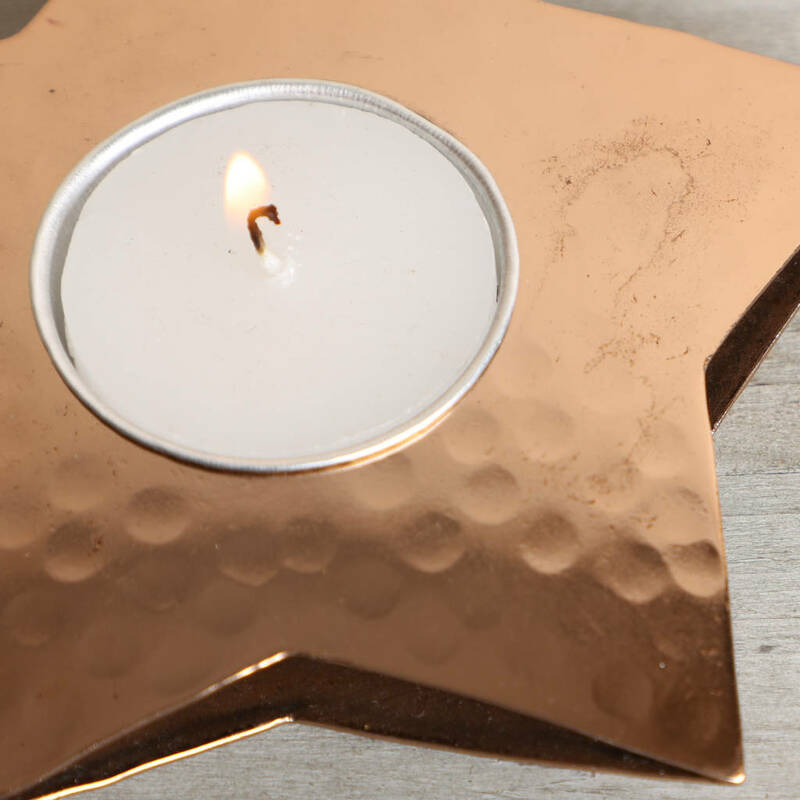 Why not add a pack of 10 luxury, unscented tea light candles to your order for only £3.00? At Dibor, we believe in using only the finest materials, finishes and techniques. 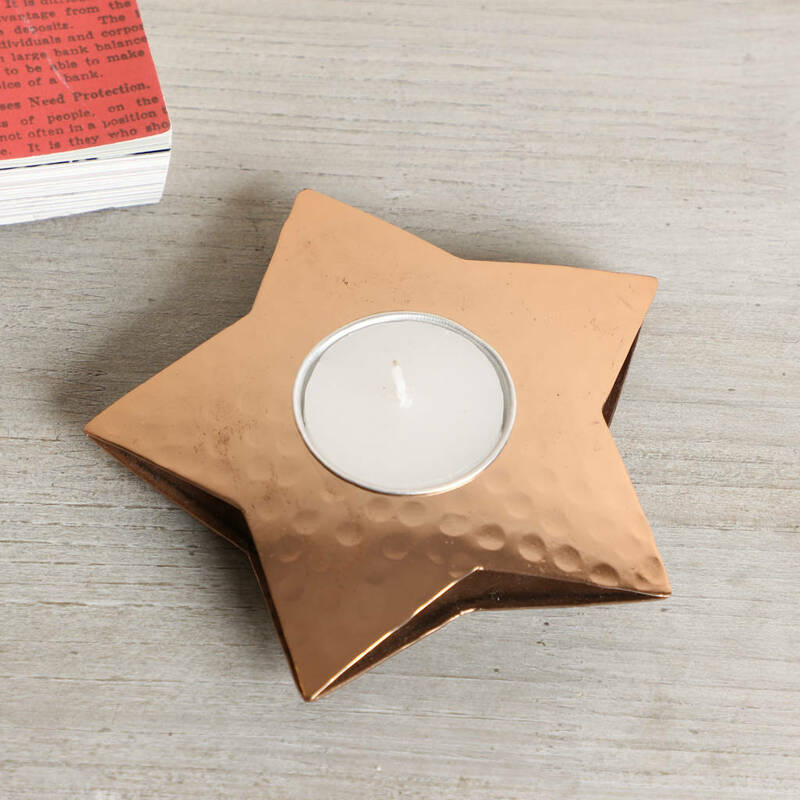 Designed in the industrial heart of West Yorkshire, this product is crafted from sustainably sourced iron and plated with copper for a stunning result.